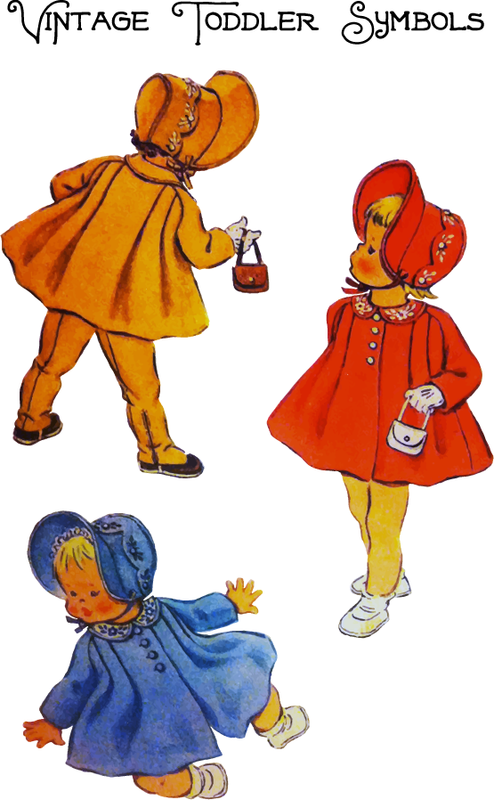 For this week’s free symbols I went in search of some vintage sewing patterns and came up with these lovely three toddlers form the 1930’s. I think these would look especially lovely on swing tags for children’s garments or used in scrapbooking. Copyright Sarah Bradberry, May 27th 2013. All rights reserved.